Find the home of your dreams without surprises and heartbreak when you trust the official realtor.com® real estate app for iPhone. 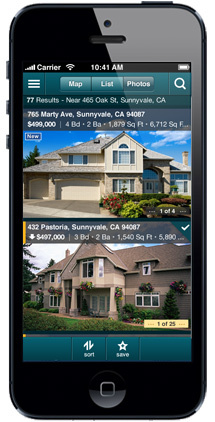 Realtor.com® widget for the iOS8 Today view shows you the newest listings on the market that match your search criteria. Multiple photos, open house information, pricing and new enhanced properties details on nearly any home for sale - with most listings updated every 15 minutes. Create private notes & ratings for homes you like then send them to your family, friends and REALTOR®. iOS8 optimized. For more information or to Download the App, go to the App Store or download from Realtor.com HERE.